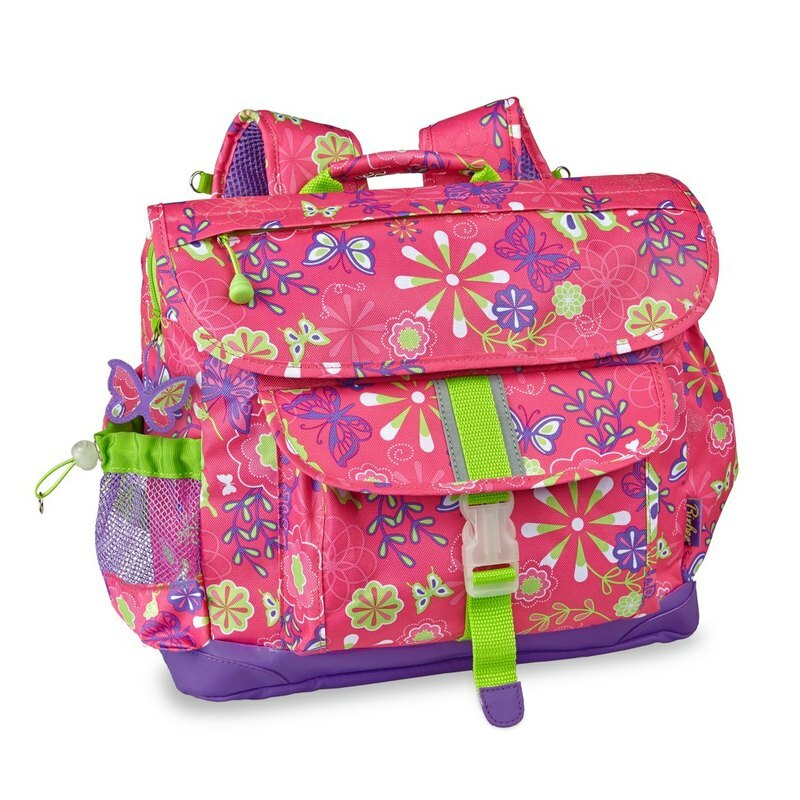 https://c1.staticflickr.com/5/4583/38650411921_93c66d7ac9_o.jpg **Bixbee "Butterfly Garden" Kids Backpack – Pink ** https://c2.staticflickr.com/2/1702/25867296751_84bca33c13_b.jpg https://youtu.be/bedLd1DT5YI https://c1.staticflickr.com/9/8659/29809026566_dcb3ecbd14_b.jpg https://c2.staticflickr.com/8/7318/27598740465_5cdf84cb15_b.jpg https://c2.staticflickr.com/2/1662/25740772781_eca33d56db_m.jpg **【Brand Story】** Lending a hand. Making a difference. Changing the world. People everywhere dream of helping kids reach their potential and making a lasting impact through better educational opportunities. Yet few have the chance to turn those dreams into reality and spread goodness beyond a close circle of friends, a neighborhood or community. Our vision for improving educational opportunities for kids around the world first began to take shape in 2010. That was the year our co-founder, Luis Garcia, hopped on a plane to spend five months exploring new places and volunteering with kids in developing countries. Luis had recently hit 40, and, after two decades designing products for luxury brands such as Ralph Lauren Fragrances, Bobbi Brown Cosmetics, and Sephora, he wanted to do something with his life that would make a lasting impact. During his journey, he spent time in schools and orphanages in the world’s poorest countries—India, Cambodia, Laos, and Myanmar. While at an orphanage in India, Luis handed out pencils to a classroom of excited students. Their enthusiasm about something so simple, something we take for granted, made a deep impression on him. Luis realized the children he met throughout his journey were like millions of others around the world, eager for an education but lacking basic supplies. Luis returned to San Francisco determined to help. Armed with a background in product design and development and a mission, Luis partnered with Kalon Gutierrez to launch Schoolbags for Kids—a line of lightweight, ergonomic and fashionable backpacks for kids. https://c2.staticflickr.com/2/1699/25534912820_fc254b28f9_o.jpg B Corp is to business what Fair Trade certification is to coffee or USDA Organic certification is to milk. B Corps are for-profit companies certified by the nonprofit B Lab to meet rigorous standards of social and environmental performance, accountability, and transparency. https://c2.staticflickr.com/2/1654/25715045372_24b9eca0ab_m.jpg **【Brand Video】** https://youtu.be/ZXo1ezybw10 **【Brand Mission】** “One Here. One There®” Our desire to play a positive role in educating kids around the world began in 2011 with the launch of Schoolbags for Kids. Now for every designer backpack we sell, we donate a schoolbag and supplies to a kid in need through our One Here. One There.® program. We are proud to have donated thousands of supply-filled bags over the years. Today as Bixbee, we are making unique bags and accessories for kids and our social impact continues to spread around the world through One Here. One There.® Of course, moms and kids can’t resist our eye-catching and functional designs, but they also love knowing they’re part of a movement, making a difference by giving a child they’ve never met a chance at a better education. As we look ahead, we know our impact will continue to grow. Won’t you join us? https://c2.staticflickr.com/2/1507/25872795576_91d60b6110_c.jpg **【Product Features】** Fantastical colors lead you to the garden where butterflies and flowers swirl. A magical place bursts into bloom with each beat of a butterfly’s gossamer wings. Your imagination lights up with color, magic, dreams and fantasy. Each product complete with a butterfly charm! Perfectly sized to carry everything your tyke needs, this backpack features a patented horizontal design with ergonomic attributes. The cover flap pocket opens to a main compartment with plenty of space for books, binders and notebooks. A padded sleeve pocket protects a laptop or tablet. Three interior organizer pockets hold small necessities like pencils, pens, crayons and an mp3 player. Even when it's packed to the brim, this backpack feels comfortable on kid shoulders, thanks to contoured shoulder straps with cushy padding. Five exterior pockets (including a lunch money pocket and water bottle holder) plus an ID holder helps you stay organized. Made of durable, water-resistant 600-denier polyester, this backpack is made to last and cool-looking, too. **Product Details:** • Backpack weighs 650g. • Main compartment features a padded sleeve for a tablet. • Interior pockets for small school supplies. • Interior latch for key ring. • ID card holder under main flap. • Contoured & padded adjustable shoulder straps. - Right shoulder strap has a lunch money pocket. • Padded mesh back panel. • Exterior zippered flap pocket offers quick access to small supplies. • Adjustable mesh side pocket fits any size water bottle. • Exterior front pocket for quick access to supplies. • Exterior mesh & solid side pockets. • Padded topside carrying handle. • Easy-to-grab beehive rubber zip pulls. • Detailed with reflective material for better visibility in low light. • D-rings let for clipping on their favorite accessories. • Reinforced base and base corners. Bixbee products are tested PVC free, phthalate free, lead free and BPA free. https://c2.staticflickr.com/2/1563/25809934166_e06dc89bfe_m.jpg https://c2.staticflickr.com/2/1508/25209404753_9505000a78_o.png **【US Patent】** https://c2.staticflickr.com/2/1657/25205478174_86393e4418_o.png https://c2.staticflickr.com/2/1469/25271825823_5cbc1a903f.jpg Medium Backpack Measurements: Overall: 13” wide x 5” deep x 11” high Perfect for kids between 43”-49” tall (108-125cm) https://c2.staticflickr.com/2/1517/25778193152_bc953cdbe4.jpg **【Awards】** ★Winner of the National Parenting Center seal https://c2.staticflickr.com/2/1606/25740890891_3071bcda0d_m.jpg ★Winner of the Parent Tested Parent Approved seal https://c2.staticflickr.com/2/1476/25205476444_10f62b287a_m.jpg **【Backpack Safety Tips】** https://c2.staticflickr.com/2/1696/25305260864_0c9c2f004c_m.jpg ACA offers the following tips to help prevent the needless pain that backpack misuse could cause the students in your household. 1. Make sure your child's backpack weighs no more than 5 to 10 percent of his or her body weight. A heavier backpack will cause your child to bend forward in an attempt to support the weight on his or her back, rather than on the shoulders, by the straps. 2. The backpack should never hang more than four inches below the waistline. A backpack that hangs too low increases the weight on the shoulders, causing your child to lean forward when walking. 3. A backpack with individualized compartments helps in positioning the contents most effectively. Make sure that pointy or bulky objects are packed away from the area that will rest on your child's back. 4. Bigger is not necessarily better. The more room there is in a backpack, the more your child will carry-and the heavier the backpack will be. 5. Urge your child to wear both shoulder straps. Lugging the backpack around by one strap can cause the disproportionate shift of weight to one side, leading to neck and muscle spasms, as well as low-back pain. 6. Wide, padded straps are very important. Non-padded straps are uncomfortable, and can dig into your child's shoulders. 7. The shoulder straps should be adjustable so the backpack can be fitted to your child's body. Straps that are too loose can cause the backpack to dangle uncomfortably and cause spinal misalignment and pain. 8. If the backpack is still too heavy, talk to your child's teacher. Ask if your child could leave the heaviest books at school, and bring home only lighter hand-out materials or workbooks. 9. Although the use of rollerpacks - or backpacks on wheels - has become popular in recent years, ACA is now recommending that they be used cautiously and on a limited basis by only those students who are not physically able to carry a backpack. Some school districts have begun banning the use of rollerpacks because they clutter hallways, resulting in dangerous trips and falls. **【Country of Origin】** Designed in San Francisco, USA; Manufactured in China. **【Product Care】** Apply a small amount of gentle cleanser to a clean, soft, damp cloth and gently wipe. Allow product to air dry.